Buddies no more? 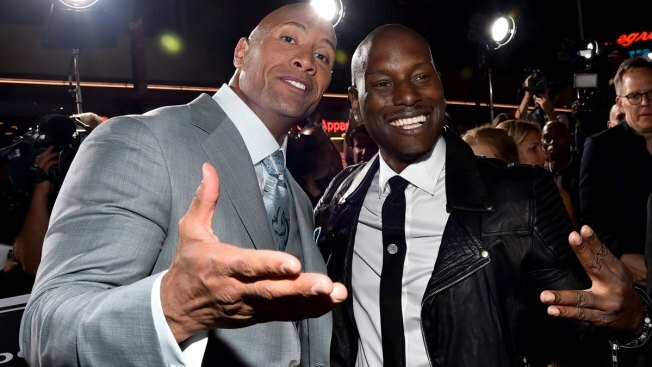 Tyrese Gibson is furious at the Rock. Tyrese Gibson is between the rock and a hard place. And he's furious. Gibson, 38, blasted "Fast and Furious" co-star Dwayne 'The Rock' Johnson on Instagram Wednesday for "selfish behavior," believing plans for a standalone film focusing on his character led to the production delay on the latest installment in the franchise. Last month, Gibson said he urged Johnson on Instagram to not betray his “Fast” family. "#FastFamily is just that a family… We don’t fly solo," Gibson commented. Gibson hinted a "heart to heart" conversation with Johnson in his sprinter and claimed that he was not responding to his text messages. Johnson has a history of feuds with co-star Vin Diesel, having once compared Diesel to "chicken s—t." Diesel dismissed the feud last year, saying it was an argument blown out of proportion. F9 was originally set to be released on April 2019. It’s new release date is April 2020.